How do I add a discount to a purchase order? Enter a discount for the entire PO in the "Default Discount (%)" field. Enter a SKU-level discount on the row for that product or variant. If you want to update a saved PO, click on Edit first. If you are creating a new PO, skip to the next step. Scroll down to the Details section and click on Discounts. To create a discount that applies to your entire purchase order, enter the discount amount in the "Default Discount (%)" field. 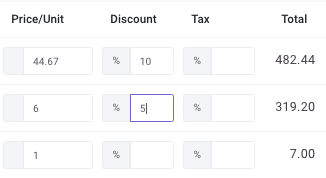 To create a discount for an individual product or variant, enter the discount amount in the Discount column for that SKU line. 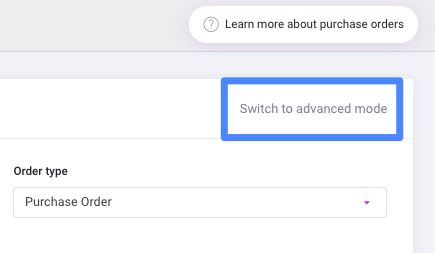 Note: Discounts cannot be pushed to a Tradegecko connection because this platform does not support discounts on a purchase order.